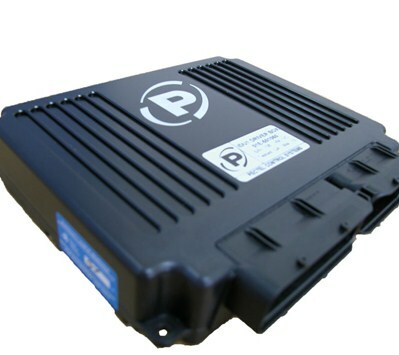 The SQ7Di is an ECU platform for use with up to 6 cylinder Gasoline Direct Injection (GDI) engines designed specifically for supporting high-end race series with a focus on direct injection engine technology. It is the natural technological advancement to the industry renowned SQ6 platform which has enjoyed worldwide success in all forms of motorsport. Direct injection plays a significant role in both automotive and motorsport applications and has typically required an external power stage to function. The SQ7Di now provides a one-box solution, combined with race proven engine control functionality of the SQ6 platform. The SQ7Di has been designed to run Bosch HDEV5 direct injectors and the HDP5 mechanical fuel pump with MSV valve, requiring no external power stage. The SQ7Di can also run Denso and Magneti Marelli direct injectors alongside the option to utilise Denso and Hitachi high pressure pumps, making this one of the most versatile direct injection solutions on the market. An all new crank and camshaft pattern recognition system allows the SQ7Di to be used with virtually any OEM timing wheel. The standard setup includes 60-2 and other common patterns. This sophisticated pattern recognition algorithm also facilitates synchronisation during slow and uneven cranking conditions. H-bridge outputs can be used in either full or half bridge mode, H-bridge outputs can be combined to drive a stepper motor or used to provide additional high or low-side drive capability including fly-by-wire for future proofing the series. All of these features are enabled by software with functionality limited through code versions which can be approved by a Championship organiser. Designed to be robust, the SQ7Di has reverse-battery, over-voltage and load dump protection built in as standard. Sensor supply and signal ground pins are also protected against shorts to battery positive and negative. There are two lambda sensor inputs which will accept NTK/Bosch style wideband sensors and narrow band sensors. There are also two specialised knock detection inputs with a software enabled gain stage. Being at the forefront of engine management technology, the SQ7Di has numerous advanced software features including fly-by-wire throttle, VVT, rev limit, knock control, gearshift strategies and high speed logging. The ECU has class-leading advanced control strategies for semi-automatic/paddle-shift gearboxes which adopt highly configurable torque removal and re-instating stages alongside multiple security methods of over-rev protection. Customers who have utilised this have extended gearbox life by 100% and enjoy sensor redundancy as standard.